Engineer's Toolbox: Will this mold work? Cover Image: Optical long strain gage sensors mounted on Duomo di Milano cupola. When the Duomo di Milano, one of the largest and most impressive Gothic structures in the world, needed its main spire restored, a 90-ton scaffolding and its effects on the Italian cathedral required extensive and intensive sensor monitoring. Physicians and environmentalists alike could soon be using a new class of electronic devices: small, robust and high performance, yet also biocompatible and capable of dissolving completely in water -- or in bodily fluids. The Model PTA Plug & Test adapter from Mark-10 is an intelligent connector for adapting common strain-gage-based load cells and torque sensors to Mark-10 universal force/torque indicators. 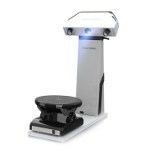 This product satisfies applications in the automotive, medical device, packaging, and many other industries. The included software utility has a library of programmable capacities and resolutions, and allows the user to assign a unique identification number. All calibration and configuration data is saved within the PTA adapter, allowing for interchangeability between sensors. Mark-10 indicators measure real-time and peak-load values, with sampling rates up to 7,000 Hz; data memory and statistics; USB, RS-232, Mitutoyo, and analog outputs; set-point indicators with outputs; and a range of additional functions. Engineering polymers specialist LGG Charlesworth's work has been revolutionized by the unique prediction tool VISI Flow, which analyzes exactly how a mold will perform ahead of tool manufacture, whether it be a tool made on site or at a sub-contractor. Bodine Electric Company has added more power to its INTEGRAmotor gearmotor line. The new type 34B4/FV-F gearmotor combines Bodine's 34B brushless DC motor and a high-torque gearhead, along with a built-in PWM speed control and an optical encoder. Together, they create a high-performance drive package that radically simplifies design, wiring, and assembly. 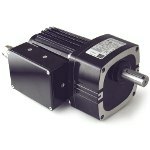 The new 24-VDC, 1/4-hp gearmotors provide up to 341-lb-in. (39-Nm) continuous torque and are stocked in gear ratios ranging from 5:1 to 180:1 and rated output speeds of 0.3 to 500 rpm. Imagine if your tires just filled themselves every once in a while when they got low and needed a little pick-me-up. Wouldn't that be great? 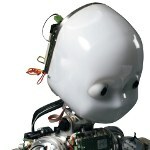 A research team at Georgia Tech is working on building robots that have the ability to solve complex problems and escape dangerous situations by using everyday objects and materials found at hand. A team of experts in mechanics, materials science, and tissue engineering at Harvard have created an extremely stretchy and tough gel that may pave the way to replacing damaged cartilage in human joints or be used in soft robotics, optics, artificial muscle, or as a tough protective covering for wounds. Cable management is often an afterthought for robotic systems, but it is a vital consideration when it comes to assuring machine reliability. This video covers the challenges and goals of cable management for six-axis robots. Discover the negative effects of poorly designed cable management systems and learn how the less-is-more approach to robotic cable management reduces both maintenance requirements and downtime. The common video boroscope set is changing the way the Department of the Navy performs aircraft maintenance. 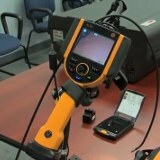 Sailors use the hand-held device to inspect and repair aircraft engines without taking them apart, decreasing repair time and increasing the number of mission-ready aircraft.